“There are those who travel but never really arrive. Those who visit a place but never know the people. Travel is so much more when you get closer to life and how it is lived.” With Myanmar Shalom Travels you will be able to experience an insightful, authentic and meaningful connection to Myanmar’s people and… Here is WHY? 100% Tailor-made: Your entire holiday is designed around your requirements. We know everyone has their own unique travel style and that’s why we work with you to create a personalized itinerary tailor-made to suit your schedule, budget and interests. Best Experience Guides: Any travel agents can arrange hotels, flights, car rental but a guide can make or break the trip. A guide can make the difference between a good trip and an outstanding one. Our local guides, sightseeing programs are carefully chosen to provide an insightful, authentic and meaningful connection to Myanmar’s people and to directly benefit the local economy. Reliable & Affordable: Any inquire we reply within 24 hours. We always provide competitive pricing and regularly benchmark our prices to ensure we can offer the best possible tours at the best possible price. Our extensive networks of suppliers: With our great network of suppliers, we can access the best rates of hotels and flights and pass these savings on to you. 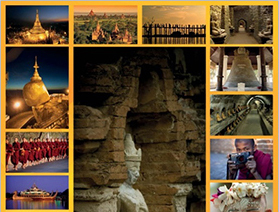 Product knowledge: Our friendly office team has thorough knowledge of Myanmar Travel market. They have extensive experience hosting group and individual tours, sharing their love and knowledge of their native country with visitors from around the world. They’ll also help you choose a great restaurant, unique marketplace, or help you find the best price on that must-have souvenir. Quality, trust and safety are key in travel and at Myanmar Shalom we take them seriously.